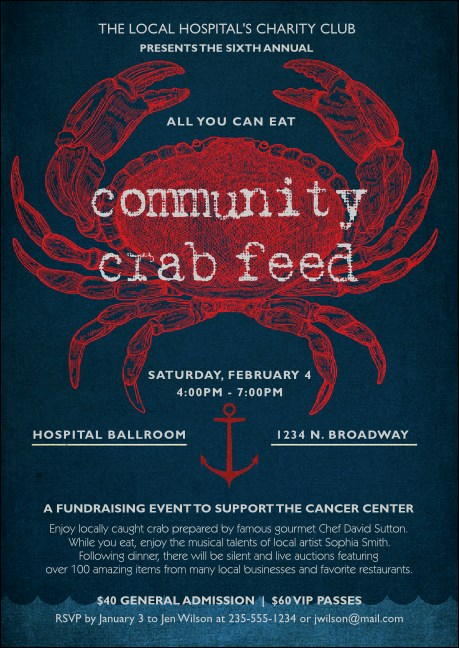 Pull people in when you mail the Crab Dinner Club Flyer. A highly stylized sketch of a radiant scarlet crab will telegraph a tasteful love of all things aquatic, while an anchor pointing toward rolling tides adds even more interest. Shades of royal blue help set off your 16 lines of event data. Promote your events with the right club flyer from TicketPrinting.com.